CherrySue, Doin' the Do: Beauty Essential - Bargain Alert! 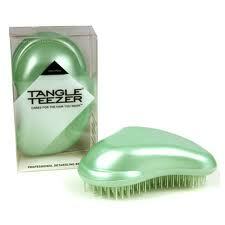 Those in the know have been using Tangle Teezer to reduce breakage, pulling and tugging when de tangling or brushing. That includes wet hair and combing conditioners or hair dyes through.Those not in the know? You're in now. I picked one of these beauties up last year upon recommendation from a friend and my hair is stronger, shinier and so much easier to manage because of it. 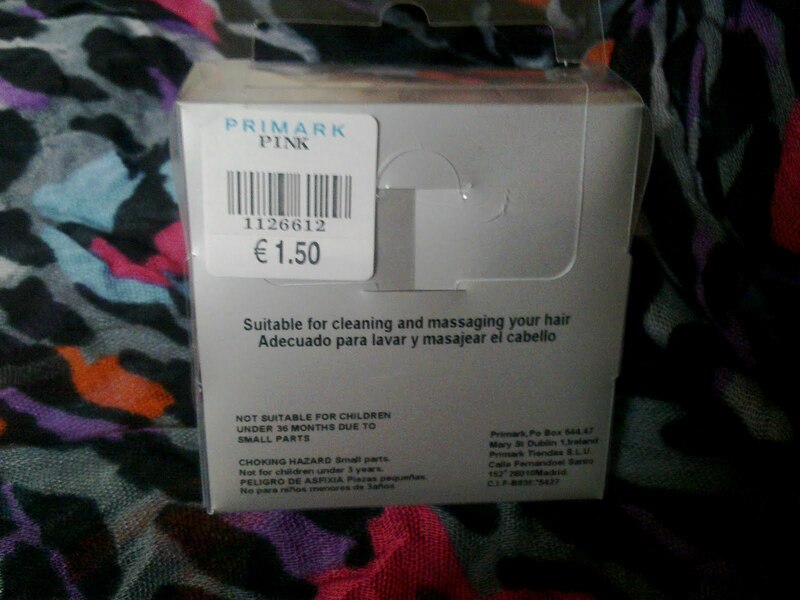 Available for €10 from your local Peter Marks Salon or in most Boots stores. Any of us with little ladies or long haired laddies will LOVE this product too. I bought one for my Sis, who is the proud Mammy to 4 year old twin girls. Before they got this, Mammy or Daddy doing hairs in the morning was always an event, involving tears, tantrums and hair pulling - the twins didn't like it either. Now its just a formality, the girls actually ask to have their hair done but only if they can use 'Aunty Sue's good brush'. My only bug with this product has to be the lack of grip when brushing, yes it goes through your hair like a hot knife through butter but the amount of times I've inadvertently flung it across the bathroom floor, followed by shouts of 'I'm OK, I'm alright, don't panic!'. This is small enough to throw in your bag & cheap enough to make the awesomeness of this kind of brush accessible to all. While it won't replace my Tangle Teezer it will certainly join it in my high esteem. I saw this in penneys today and said to myself that i'd wait to see if anyone posted on it and lo and behold :) must give it a go now! I have a tangle teezer that got dropped and never got picked up again. I found it just took so long to brush my hair... i only ever used it when I had conditioner in so now maybe I will try it in just wet hair and see how it works. the fact im always in a rush and very impatient probably doesn't help either! I've heard such good things about these! Wish they were around when I was a little girl, I remember tears from tangled hair! Hmm, interesting! 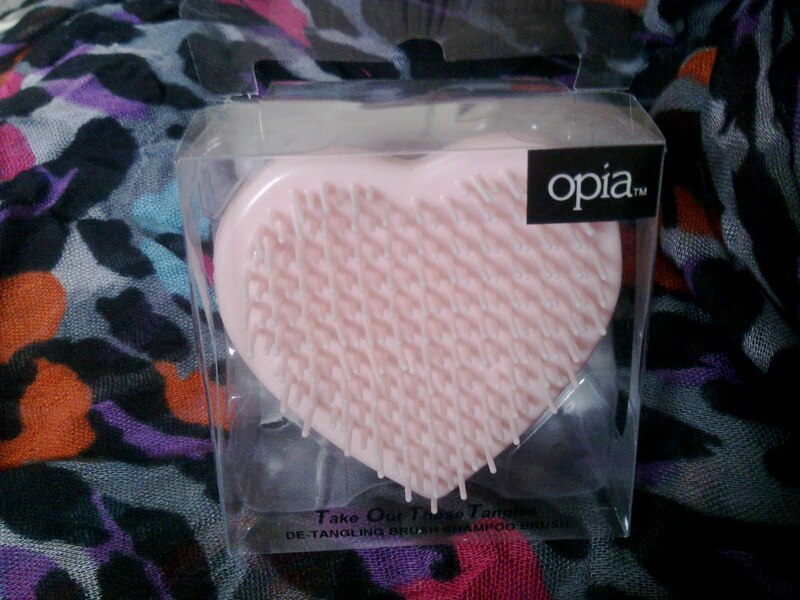 I love the Tangle Teezer. Not for my hair, but for my sister's! She's 10 and her hair has never been cut, so you can imagine how long it takes to do her hair. Tangle Teezer cut the time in half! I have wanted to try the Tangle Teezer for a long time. Will definitely get one the next time I am in town. Is the penny's one as good as the Tangle Teezer though? 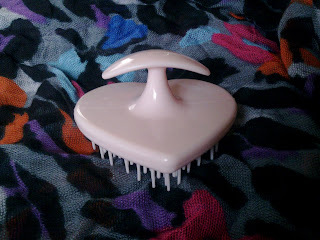 I picked one of these up today and going on first use it's not as good as the Tangle Teezer, as it takes longer to get the knots out of my hair, but it's grand for keeping in my handbag. Oh and I saw the actual Tangle Teezers in the McCabes pharmacy in Clerys for €9.99, just in case anyone's interested. Thanks P, I'd have to agree Elaine - this won't be ousting my Tangle Teezer as the teeth aren't as long so not hugely suitable to particularly thick or curly hair. It is, however, a gem for your handbag/swimbag/gymbag and a fab price too. I've never tried any kind of tangle teezer, the thoughts of it sends me into a panic! If my hair is left to dry naturally with no product (beloved Orofluido, what did I do without you) then it turns into a fabulous 80's bouffant. We're talking full-on power ballad hair. I think it'd just be cruel to expect a tangle teezer to survive in there! !